Speaking about breastfeeding, it should be borne in mind that each healthy mum is capable of feeding her baby and satisfy all its needs. It is the natural ability possessed by every single woman. Still, however, immediately after giving birth, all the mums are faced with the dilemma of how to feed their babies – naturally or artificially? Long-term research indicates that more benefits for the mother and the baby are offered by natural feeding. The question of how to cope with this task has been addressed by numerous journals, guides and parenting portals. 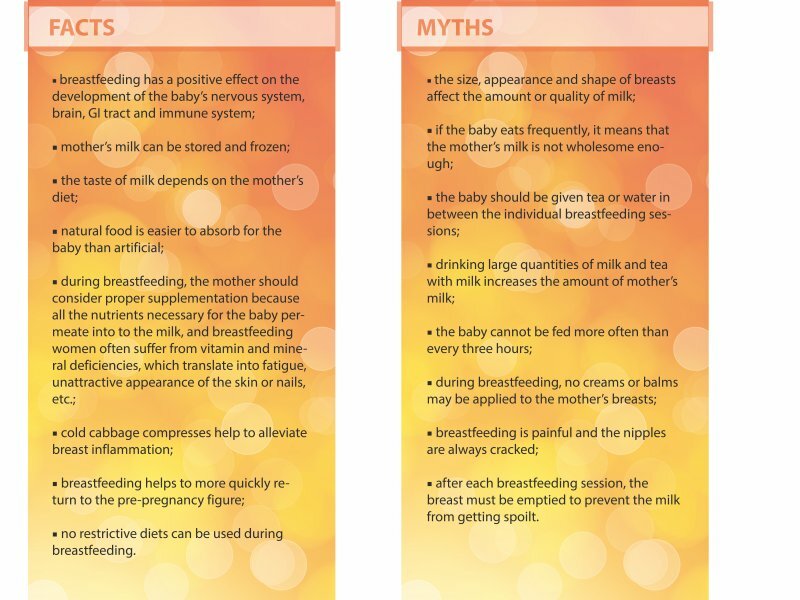 And even though many people seem to find the issue of breastfeeding as simple as two plus two, there have been numerous myths, superstitions, false information, opinions, views and rumour in this regard. Let us then become familiar with the basic truths and myths about natural feeding. http://compositamama.eu/wp-content/uploads/2017/02/Fotolia_100745621_Subscription_Monthly_XXL-1030x687-1.jpg 687 1030 composita http://compositamama.eu/wp-content/uploads/2017/02/logo.jpg composita2017-02-27 15:23:332018-11-27 12:15:34Truths and myths about breastfeeding. Innate intelligence Pregnancy – when to start eating healthily and what to eat?